The fighting game is alive and well. Just look at Injustice 2, Mortal Kombat X, Tekken 7, and the upcoming Marvel vs. Capcom: Infinite to see how much fun the genre still offers to modern gamers. Over the decades, we’ve had numerous Street Fighter clones, a few attempts to cash-in on Mortal Kombat’s gore-soaked style, and more original concepts – but not all of them go the distance like the latter franchises. Some simply drop off the map, unlikely to be seen again. Bloody Roar might look like any other Tekken-clone from the PS1-era, but there’s a neat twist at its core: characters had the ability to transform into awesome human-animal hybrids. Take that, Heihachi! 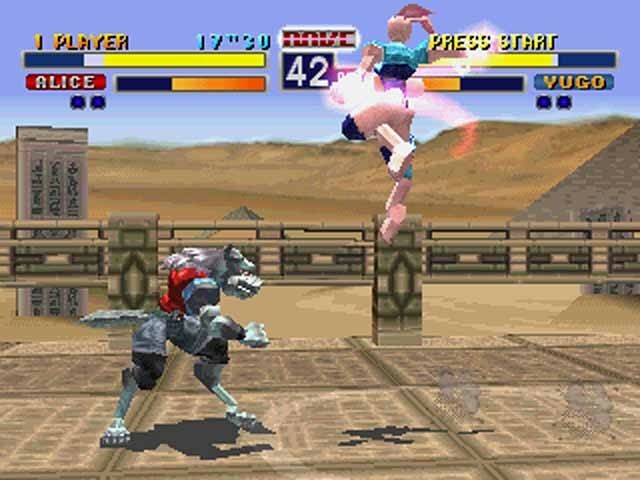 This gave the Bloody Roar series its own unique flavour, and even if the brawling itself wasn’t extraordinary, there’s real juice in the concept. The characters’ transformations opened up new moves and abilities, while the series’ accessibility makes it more inviting than more complex fighters. Transformations on today’s consoles could look outstanding, and even be pretty creepy if potential developers wanted to go down a more horror-movie route. The rights are owned by Konami, since they bought the series’ original publisher (Hudson Soft), but it’s unlikely we’ll see any more Bloody Roar games. 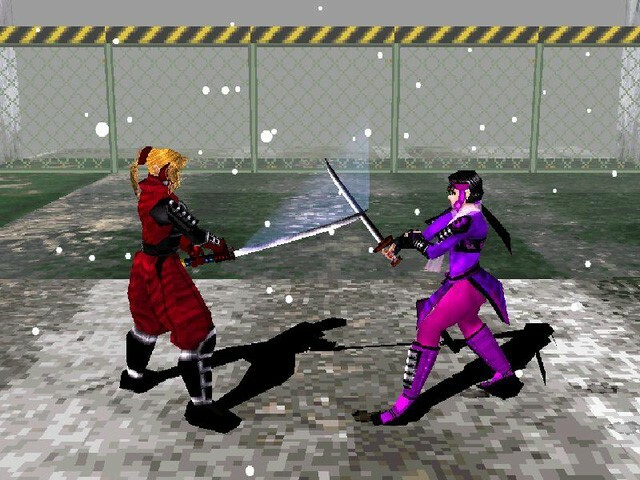 Bushido Blade was a fighting game with a real difference: rather than battering your enemy with a series of punches, kicks, and combos, you used a variety of weapons to pick them off one limb at a time instead. This Body Damage System led to a much more measured pace, and required some strategic thinking unless you wanted to end up hobbling on one good leg or swinging your blade with your one good arm. Instant deaths were possible with the right stab or slice, and there were no on-screen features like time limits or health bars. Battles took place in expansive 3D spaces too, with plenty of room to evade your enemy and catch your figurative breath. On top of this, fighting dirty was a no-no: stabbing someone in the back or slipping a cheeky swipe in during a bow would see you reprimanded. A sequel came hot on Bushido Blade’s heels, while a spiritual successor – Kengo: Master of Bushido – arrived some years later. The Bushido Blade formula could definitely work today, which makes knowing we’re unlikely to see a new instalment sadder. Eternal Champions’ concept was a great one for a fighting game, and even led to a comic-book adaptation in the UK’s unforgettable Sonic the Comic: basically, you played as one of several master fighters pulled from across different times, with the winner able to balance the universe and save humanity from fading away. 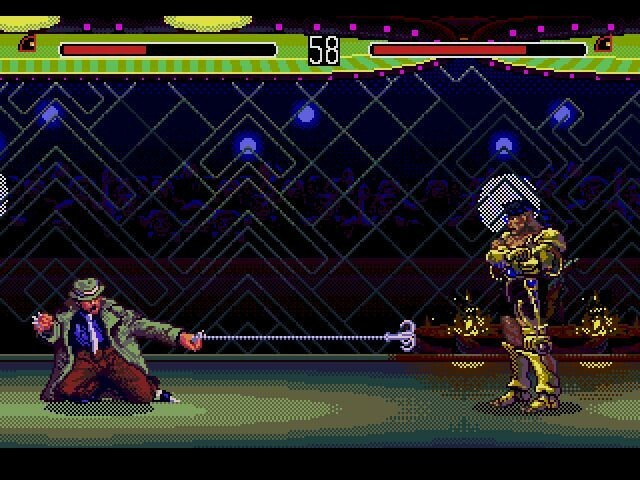 While it had a learning curve so steep it veered into joypad-threatening territory at times, Eternal Champions featured an appealing cast of characters (including a vampire, a cyborg, a bounty hunter, a private eye, and others), strong visuals, and a nice mix of fighting styles. A sequel followed (exclusive to the Sega CD), while two spin-offs were released, but the Eternal Champions have been left dormant since. We’d love to see them brought back for an updated adventure – the same cast, the same concept, but with all the dynamism and flair the latest tech offers. Back in the early 90s, Virtua Fighter made history as the first arcade brawler with glorious 3D polygon graphics. Sure, it might look a tad ropey now, but back then it was mind-blowing. 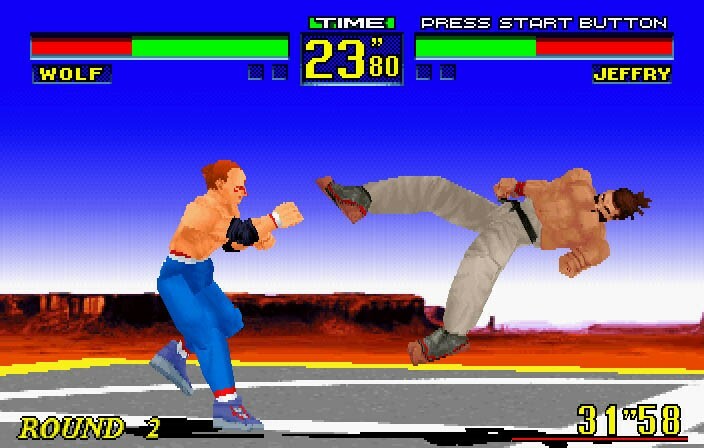 Virtua Fighter went on to influence other fighting games, like Dead or Alive and even Tekken, and several sequels & spin-offs followed. Its arcades are even displayed in the Smithsonian’s National Museum of American History, which is a pretty impressive testament to the series’ importance. Still, there’s no word on a Virtua Fighter 6, despite fans’ hopes. Considering how much the franchise did for the fighting game, it deserves a shiny new release. Not enough fighting games feature giant marauding monsters. Primal Rage is one of the few, but sadly, the planned sequel was never released officially. However, if there was ever a perfect time for the almost-series to continue, it’s now. Why? Because with another Godzilla movie on the way, Kong: Skull Island being a hit, and both Jurassic World: Fallen Kingdom & the Pacific Rim sequel in production right now, there’s a clear fondness for the classic movie-monster in the air. 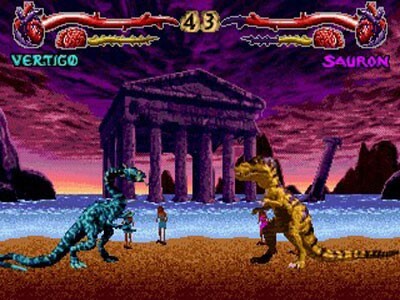 More Primal Rage games could capitalise on this with more dinosaur-on-giant-ape battles. A new Primal Rage could look absolutely incredible with today’s hardware too – just imagine snatching puny humans from the ground and munching them to refill your health with the latest graphics. There hasn’t been a proper Darkstalkers game in a long time, though compilation sets have been released. Like Eternal Champions, Darkstalkers revolves around a gripping concept, with multiple characters based on legends and ancient stories (a mummy, a vampire etc.) fighting it out. Darkstalkers has also been adapted as various anime and comic-books, but fans have been left wanting for a brand new fighter. Despite strong interest from the fan community, a future Darkstalkers continuation looks unlikely, but characters will no doubt keep appearing in other games (such as the Marvel vs. Capcom series). 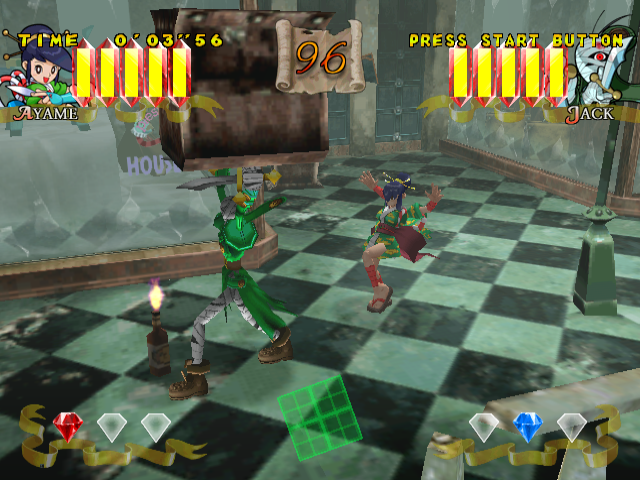 Power Stone was a 3D brawler set in open environments, allowing fighters to use objects against their enemies and transform into a beefed-up version of themselves when collecting three of the titular stones. This gave each fight an additional goal beyond simply beating each other, with players competing to get their alternate form and have an edge over their enemy. A sequel was released, as was a PSP remake, but there’s still room for new Power Stone games. Like Bloody Roar, the transformation aspect is a cool twist, while the open arenas and fast-pace give a continuation / reboot of the series plenty of potential. Pitting school children against each other in a fighting game seems like a pretty controversial move – but hey, Capcom did a great job! 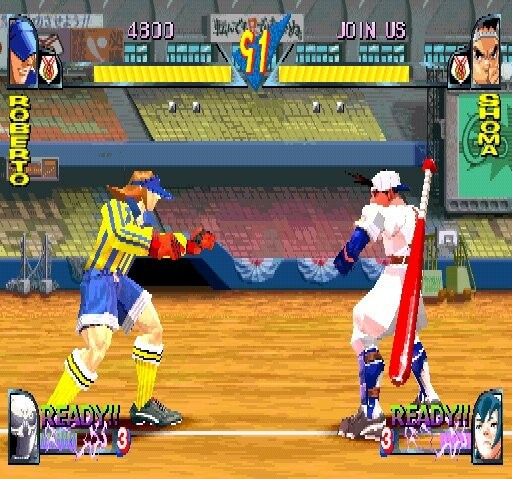 Rival Schools: United By Fate saw players choosing two characters as a team for one-on-one brawls. You could call your partner in for special attacks (as with their later Marvel vs. Capcom games), and switch them between rounds. It was a colourful, fast-paced game with real energy and character, but nothing has been seen of the series since the start of the 2000s. The games’ director has expressed interest in making a new game, but it remains to be seen whether this will actually happen. If it does, hopefully the mini games will come back too! Which fighting games would you like to see revived, and why? Primal Rage? Darkstalkers? Bushido Blade? Let us know!